How fast did that week go by! I can't keep up with everything at the moment as time flies by and we head into our 5 week of Term 3! Wow! I know I am a few days late, but I wanted to thank all of you from purchasing packet from me during the Back to School sales. I had my best ever sales days with lots of my new packets being bought. So thank you! For once, I earnt more money thank I spent as well, but I did have a few special things I bought to share with you anyway! This is the pack that I was most excited to get! 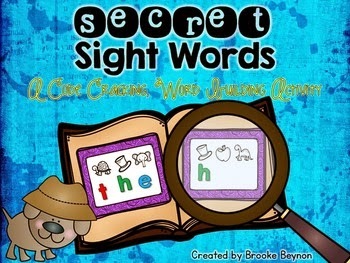 Children practise writing sight words with magnetic letters, BUT they have to find the sound that each picture starts with to be able to solve the sight word. I LOVE it! We are using it this week in Alphabet Centers! Its from Brooke at Teachable Moments who also celebrated a milestone recently. Congratulations Brooke! 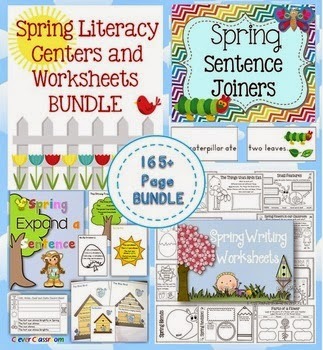 I can't wait to get started on exploring this Spring Literacy Centers and Worksheet Bundle from Clever Classrooms. Bundles are such amazing values - always check to see if you favourite sellers have products bundled so you can get a bargain! 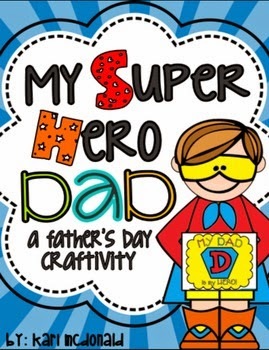 It's coming up to Father's Day in Australia so I purchased this pack to get myself organised. It looks very cute! And of course a sale never goes by when I don't buy some more cute clipart from Mel at From the Pond! 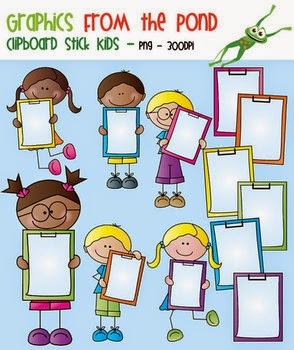 This clipboard clipart is adorable! I'll have more to share with you in the coming weeks as I start to use them more and more in my classroom!